If you require a copy of this Course Provision Brochure in Welsh or in larger print please contact us. 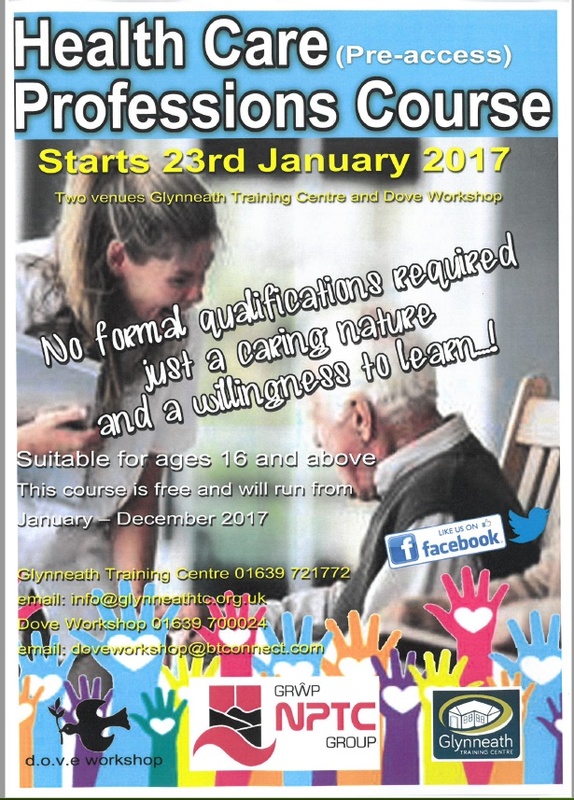 Course provision information is also available from DOVE Workshop, Seven Sisters Community Hall and Crynant Community Centre. To see other courses available in the surrounding area, please visit the Neath Port Talbot Adult Community Learning website. New for the spring term! 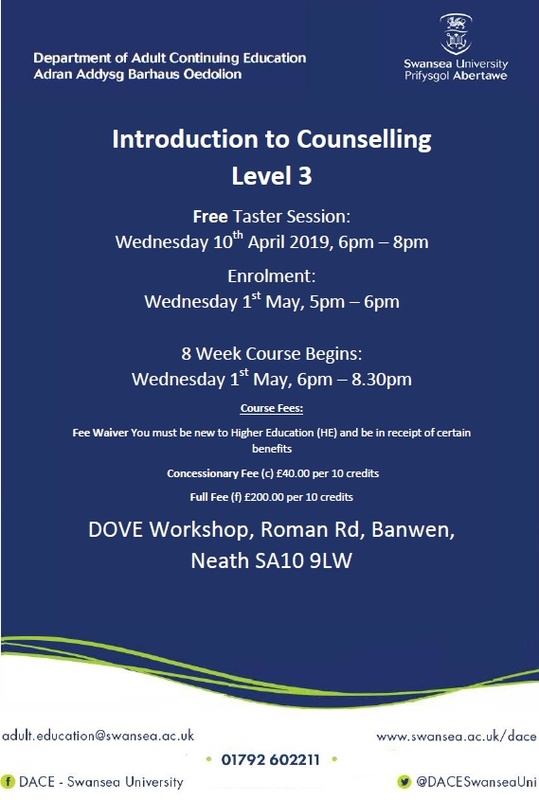 This course can help you progress further in the counselling profession. 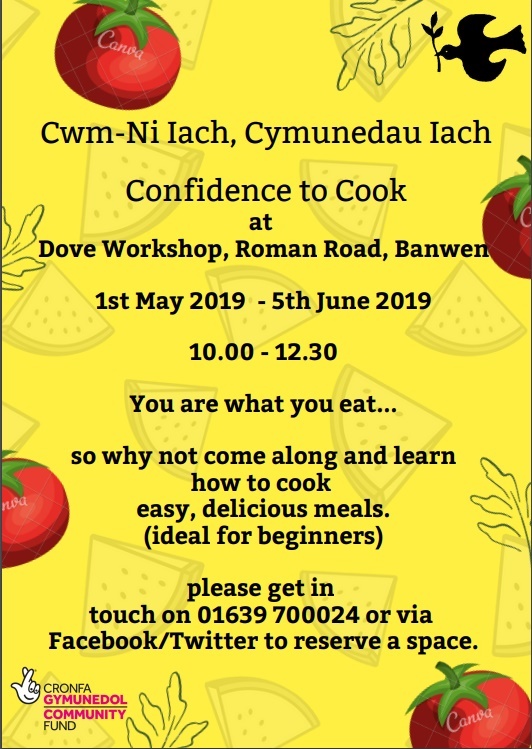 If you are interested and need further information please contact DACE using the details below. Alternatively click for an application form. Looking to improve your Maths and English skills? 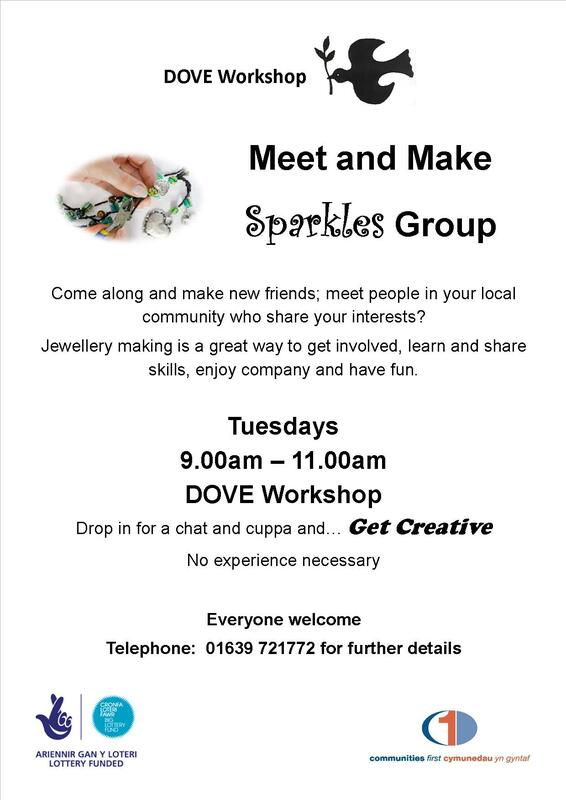 Come along to our friendly classes at DOVE on Tuesday and Thursday mornings! This Foundation Year Access to Higher Education Course aims to provide the skills and confidence for learners to progress onto an Access to Higher Education Course and then in the future, to a degree or equivalent higher education course. The course is aimed at adults of all ages, 16 and above and particularly suitable for those who have no formal qualifications and who are interested in work or further study in Health & Social Care. It will provide a foundation for achieving the skills and qualifications employers are looking for and will help develop the skills needed for academic study. There are no formal entry requirements but candidates need to have a caring nature, and a mature and committed approach to their studies. Learners will undertake Skills for Further Study Level 2 Diploma and the main focus of the course is to develop learners’ proficiency in a range of academic skills, including writing, research, numeracy and confidence in using computer applications. Subjects covered will focus on a range of themes around health care, IT and media skills, communication skills, personal reflection, welsh culture, Pre/GCSE English & Maths and other options. and for those over 21 years of age, no formal qualifications are normally needed. knowledge to support their children in school.